Dum Dum Girls Announce First-Ever New Zealand Show AUCKLAND CITY — 40 Days Touring are proud to announce that Californian quartet Dum Dum Girls will play their first-ever New Zealand show at Auckland’s Kings Arms Tavern on January 6th 2012. Unknown Mortal Orchestra Live In New Zealand This December AUCKLAND CITY — Unknown Mortal Orchestra have announced they will play two New Zealand shows this December, bringing their much-hyped style of ‘psych pop’ to New Zealand for the first time. Julia Deans Announces Two NZ Shows Recent Music Awards nominated singer-songwriter Julia Deans returns to the stage with a small band to play two shows over November. AGWA & RADIO 1 Present: Tommy Ill 'Birdbath' Single Release Tour Tommy Ill fans and cool kids can collectively rejoice! Wellington’s rapping wunderkind is back with his new single ‘Birdbath’. Roxette Live - On sale today AUCKLAND — Tickets go on sale at 9 am today for Roxette’s first ever and one and only New Zealand show at Auckland’s Vector Arena on Saturday 11 February. Annie Crummer North Island Tour NORTHLAND — Perennial New Zealand pop artist Annie Crummer will head out on the road for a winter tour throughout the North Island in August. Rumble comes to Napier NAPIER — To say that New Zealand singer/songwriter Dane Rumble is big right now would be an understatement. Lady Gaga has arrived AUCKLAND CITY — International pop superstar Lady Gaga arrived in Auckland this morning, and on her way from the airport to her hotel, she surprised The Edge with a phone call. Backstreet Boys & J Williams - show Thursday!!!! AUCKLAND CITY — Nick Carter, Howie Dorough, Brian Littrell and AJ McLean are on their way to New Zealand and are currently completing the Australian league of their THIS IS US tour - Check out this Perth show review - http://www.perthnow.com.au/entertainment/the-backstreet-boys-perth-concert-r eview/story-e6frg3ic-1225836539702. Whitney Houston - NZ show cancelled NEW PLYMOUTH — Andrew McManus Presents regrets to announce that, owing to a dispute with the venue's owner/operator, the Whitney Houston concert scheduled to take place at the New Plymouth's TSB Bowl of Brooklands on 6 March 2010 has been cancelled. John Mayer: From Wonderland to NZ John Mayer is headed to New Zealand in April and local Visa debit, credit and prepaid cardholders can snap up advanced tickets. Backstreet Boys announce NZ tour date AUCKLAND CITY — With worldwide record sales in excess of 100 million and 14 Top 40 hits on the Billboard Hot 100, the Backstreet Boys are among the most successful pop groups in music history. New Zealand fans to go Gaga in March AUCKLAND CITY — Lady Gaga is headed to New Zealand in March 2010 and local Visa debit, credit and prepaid cardholders can snap up advanced tickets. Urban Tramper new album Rise and Ride Toward out now WELLINGTON — Wellington based Pop-folk band Urban Tramper are proud to announce the release of their fourth studio album Rise and Ride Toward. Anika Moa The days are getting longer and Anika Moa is celebrating with the Aroha Tour 2009 that will take her from as far south as Rakiura/Stewart Island to as far north as Kaitaia, including one very special just-announced show at Auckland's Monte Cristo Room on December 2. The Diamond Rings release debut album 'The Rasper' 15 June AUCKLAND — A mutual love of vocal harmony and keen ears for melodic pop, infused with humor and laconic wit, has seen The Diamond Rings come together to release their debut album 'The Rasper' on Monday 15 June. 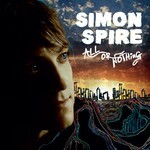 Simon Spire releases debut album ALL or NOTHING on April 27 From his native New Zealand to his newly adopted home in New York, Simon Spire has long been on a path towards fully capturing his artistic vision. Snow Patrol want to prove they're no one hit wonder Propelled to worldwide stardom by their hit single Chasing Cars, Snow Patrol want to prove they're more than a one-hit wonder. Kylie Minogue to perform in Auckland AUCKLAND — Australian pint-sized pop sensation Kylie Minogue will perform a one-off show in New Zealand. Westlife to Rock TSB Stadium NEW PLYMOUTH — Irish boy band Westlife have saved the best for last: The final show on their New Zealand tour will be in New Plymouth’s TSB Stadium. Beirut - The Flying Club Cup New Zealand Tour - March 2008 Come March 2008, 21 year old wunderkind Zach Condon will be bringing his 8 piece band, Beirut, to NZ for the very first time. Sneaky Sound System to tour in December Sneaky Sound System have been sizzling on New Zealand radio playlists for ten months now with their infectious song Ã¢â‚¬ËœPicturesÃ¢â‚¬â„¢ and their latest single Ã¢â‚¬ËœUFOÃ¢â‚¬â„¢.